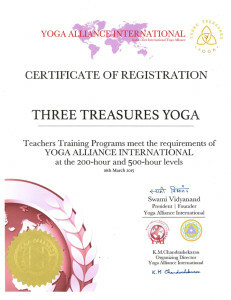 Three Treasures Yoga is a member of International Yoga Alliance. YAI is an organization devoted to nurturing authentic Yoga traditions througout the world. 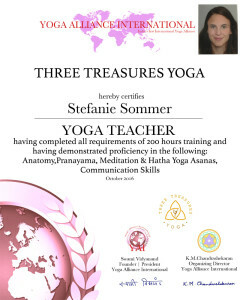 Yoga Alliance Europe, in addition to offering a banner under which Yoga Centres and Yoga teachers throughout the European region can get together, also offers professional, certified Yoga Teachers Training Courses.